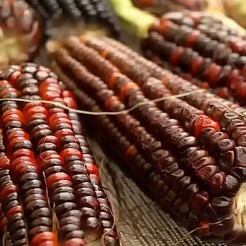 Sweet corn - Vegetable seeds? Buy high quality seeds at 123seeds.com. Fast delivery! Sweet corn is easy to grow. Put the plants in blocks because sweet corn is a wind-pollinator. 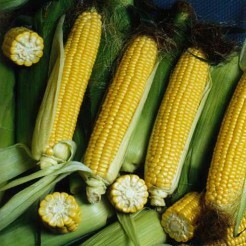 Sweet corn has a delicious sweet flavour. It's delicious in combination with chicken, bell pepper, cheese, lettuce, beef, mushrooms, eggs, leek, courgette, cucumber, peas, broccoli, paprika, hot pepper, salmon and avocado. 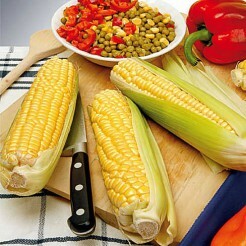 You can cook, grill, roast, bake and steam sweet corn. You can also add it to soups, sauces, casseroles, salsas and salads.